Overview – Move Along, Inc.
With our roots dating back to the Syracuse Flyers wheelchair basketball team founded in 1979, Move Along has come a long way! Our organization still hosts to the Flyers basketball team, as well as home to a number of other activities, including sled hockey, paddling, cycling, adapted horsemanship, and new in 2017: tennis! We are a registered 501(c)(3) not-for-profit organization and we serve the communities of greater Syracuse, Oswego, and Central New York. Scheduled Programs organized by staff and volunteers are designed to bring out the best in all who participate! 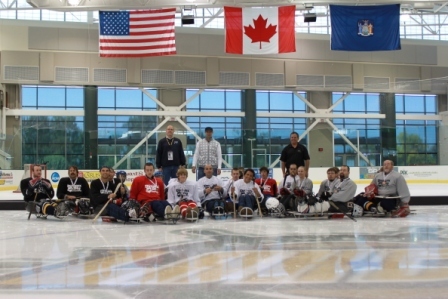 As an active chapter of Disabled Sports USA, we are committed to best practices and innovations in our field. All are invited to join in! Our Commitment to Education is embodied by all that we do, and especially in our Inclusive Sports Training programs offered as a roadshow to local schools and organizations. Interested in bringing adapted sports and recreation training to your community? Search no further! Serving our Veterans has become a more pronounced mission of ours, as we team up with local veteran service organizations, and can offer significant assistance to veterans seeking to participate in any of our programs through the generosity of VA: Mission Re-Defined. We’re all about our people. Our participants, volunteers, represent many ages, backgrounds, and abilities. Will you join us? Move Along Inc. provides and promotes inclusive adaptive sport and recreation opportunities for people with disabilities and allies. At Move Along Inc. we believe in a world where people with disabilities fulfill their personal dreams and aspirations, live healthy lives, and have access to sport and recreation outlets that meet their diverse needs. Our goal is to develop these opportunities and experiences by engaging participants and encouraging community involvement with desired outcomes including increased physical activity, but also fostering a community where social skills such as self-confidence, self-reliance, and independence are paramount to our success. Equality. Creating inclusive activities open to all individuals regardless of ability (provided this can be done safely without endangering the individual or others). Community. Collaborating with professionals and laymen to develop a community empowered to build relationships with one another cultivating team building and resilience. Respect. People are defined by their abilities, not their disabilities. We demonstrate honor and morality by respecting the rights, dignity and well being of all individuals. Professionalism. Staff and volunteers will demonstrate their abilities to interact with individuals commensurate with their level of training and certification. They are reliable, humble, accountable, and demonstrate sound judgment while following industry safety standards. Leadership. 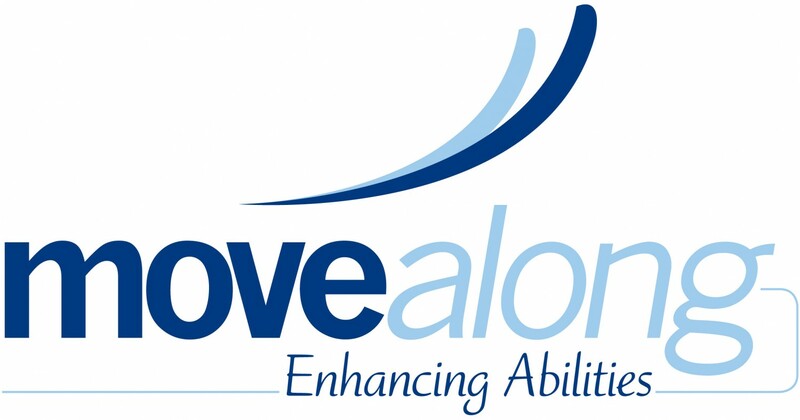 Move Along Inc. will lead innovative and professional adaptive sports and recreation services. As well as, encourage and develop leadership skills in participants, volunteers, and staff. Risk Taking. We embody reasonable risk-taking to develop innovative programming, and cultivate empowerment. The right to risk is the right of all abilities; our programs allow participants to capture their rights and become as independent as their body and mind will let them. In business, we believe without risk, innovation wouldn’t exist. We embrace risk-taking while preserving security and well-being. Integrity. Doing the right thing, even when no one is looking. Providing honesty, even when the truth is complicated. Humbly admitting and adhering to limitations, and asking for help. Holding ourselves accountable, and creating solutions within our power.